We are really excited to announce that the Red Brick Building is hosting Feminist Archive South for the launch of their GEO funded project Hatpins to Hashtags — a touring exhibition and workshop series mobilising feminist activism and diverse her-stories across the South West. The day of events at Red Brick Building on 2 September includes free workshops, refreshments, badge, zine and poster making and an open-circle conversation exploring Feminism then and now. The official Welcoming and Opening is at 12.30pm and the day includes these workshops – pre-booking essential. Interactive creative writing workshop exploring the future of gender equality and activism. Experimenting with DIY counter-cultural methods such as cut-up poetry, adaptation and collage, we will explore a range of topics including gender stereotyping, sexual harassment, LGBT+ activism and the issues that matter to you. Held within our exhibition of striking feminist posters, the workshop will take inspiration from a century of women-led campaigns for gender equality. 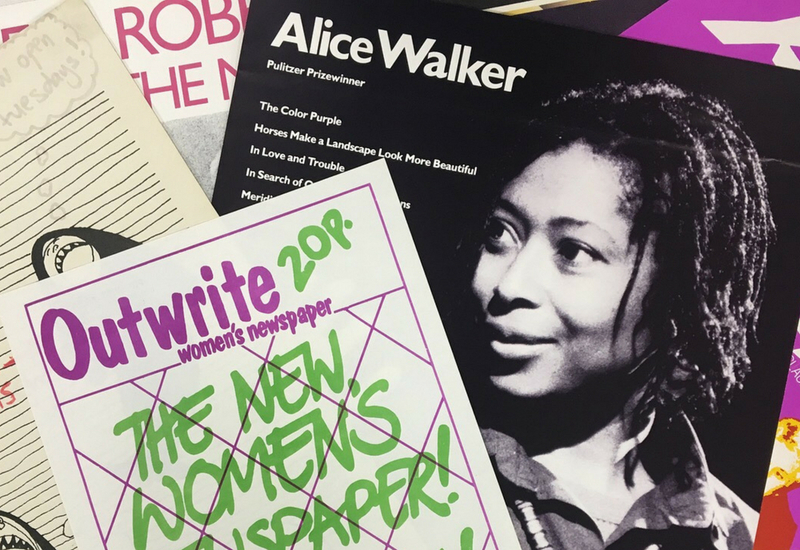 This day of free creative workshops aims to empower people of all genders aged 16-30 through learning about feminist activist her-stories, connecting these to contemporary debates about gender equality and exploring ways to make your voice heard. Held within an exhibition of striking feminist posters, the workshops will take inspiration from a century of women-led campaigns for gender equality from Votes for Women to Equal Pay and #metoo. The software we use is increasingly seen as a political issue, but it’s easy to be distracted by the promises made by easy to use online software. There is an active, global, Free and Open Source Software (FOSS) movement that makes it possible to learn to do almost anything, but the first steps can be the hardest. How can we start to own and control our data and the online systems we use? The Digital Democracy Workshop is an invitation to join an experiment that will run throughout the Hatpins to Hashtags project. What can we build together? If we share our learning experiences online, can we help others to get started? How can we take activism online? All workshops are free and we can offer modest contributions towards travel and access costs such as child care. Please contact feminist.archive40@gmail.com for more information. Please book via Facebook event and Eventbrite.